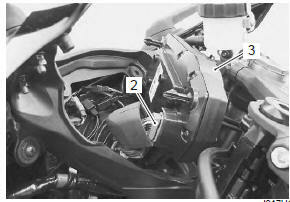 Remove the combination meter mounting bolt (1). Disconnect the coupler (2) and remove the combination meter assembly (3). 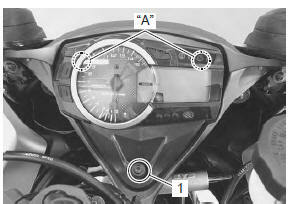 Install the combination meter in the reverse order of removal. fix the boot of the combination meter coupler firmly.